Friends may stop friends from driving drunk, but apparently they’re also stopping them from driving distracted. A new teen driver survey conducted for tire company Bridgestone Americas suggests that peer pressure could be effective in discouraging teens from texting behind the wheel. Ninety-five percent of the 2,065 teen drivers interviewed admitted to texting and e-mailing while driving alone, but less than a third did said they did when friends were in the car. Watching videos and posting to social media also decreased when the drivers rode with pals. And, of course, there was one passenger that made all of those behaviors drop steeply — a parent. 95% texted or e-mailed while driving alone, but the figure fell to 32% when friends were in the car. 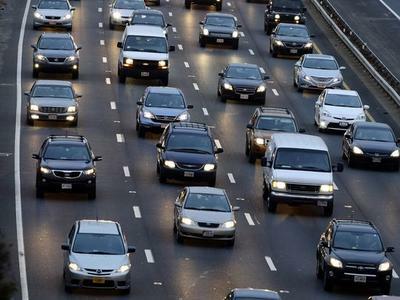 When a parent was a passenger, the number fell even further, to 7%. Over 90% posted to social media sites while alone behind the wheel. In the company of friends, only 29% did so. Just 5% posted in the presence of parents. Three out of four also admitted to watching videos when they were driving by themselves. The percentage fell to 45% when friends were present, and 7% when parents were in the car. These are encouraging numbers, but do they really suggest peer pressure? After all, if a bestie is right there in the car, the driver obviously doesn’t need to text that pal. And passengers in general might simply be a convenience factor, since they’re available to fire off texts or social updates on the driver’s behalf. While that’s helpful, it doesn’t exactly discourage the distraction, which may continue when the driver’s going solo. Whether or not peer pressure is a primary factor in this particular survey, it still has potential to sway behavior. At least it’s another option to cell phone bans, which aren’t having much success. And we’ve seen it happen before with initiatives to stop drunk driving. If texting behind the wheel likewise becomes socially unacceptable, we could very well see fewer accidents due to mobile phones. In other words, if people won’t listen to their lawmakers, perhaps they’ll listen to their friends. Maybe this is what it takes to prevent senseless deaths like Alexander Heit’s. 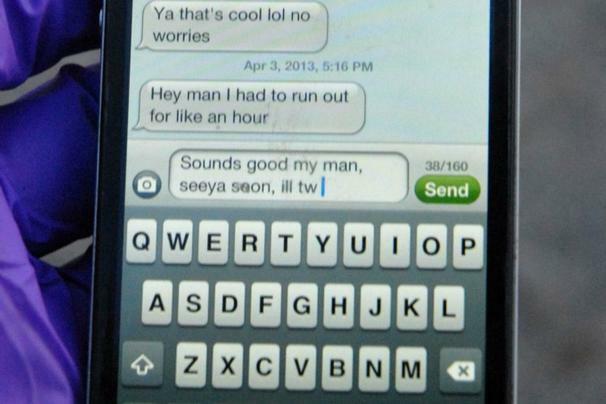 The University of Northern Colorado student lost control of his car on April 3 while typing out the following message to a buddy. Distracted driving is responsible for more than 11 percent of all U.S. highway deaths, and is the likely factor in a surge of roadway fatalities among 16- to 17-year-olds. According to a recent report from the Governors Highway Safety Association, deaths among these teen drivers swelled a combined 19 percent during the early part of 2012.